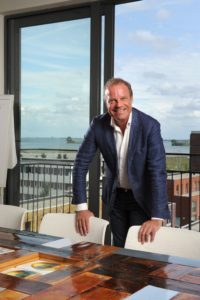 Frans de Groot is a best-selling author and the pioneer of Bitsing, a business goal-achievement method that achieves breath-taking results. More than twenty years of scientific and practical research preceded his discovery of the method. Frans lectures on Bitsing in the European Master’s programme, at several Universities and at various tertiary colleges. His business, The Bitsing Company, helps thousands of people and organisations to simply and efficiently achieve their goals, every day.